The Tesla Motors stock price is down 0.7% to $209.51 today (Thursday, May 19) after the luxury automaker made a big announcement regarding its stock. Despite investor skepticism toward the move, we see the TSLA stock price moving higher over the long term. And one of Wall Street's biggest banks just confirmed our prediction for Tesla Motors stock. Late yesterday, Tesla Motors Inc. (Nasdaq: TSLA) announced it will sell about $2 billion worth of stock to fund production of its Model 3 vehicle. 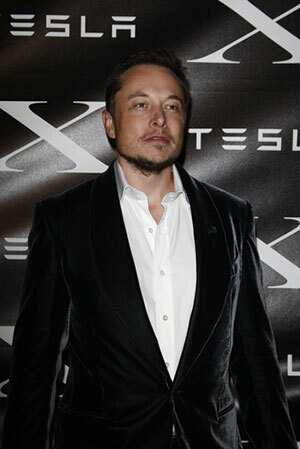 CEO Elon Musk also announced he will donate 1.2 million of his own shares to charity. Based on Wednesday's closing price of $211.17 a share, his donation would amount to roughly $253 million. Investors were initially shocked by the sale. Shares of Tesla Motors stock fell 4% in post-market trading yesterday (Wednesday) after the news broke. Tesla has repeatedly said it maintains a comfortable cash cushion of more than $1 billion. The firm finished Q1 2016 with a $1.4 billion cash stash thanks to the company's credit line. Still, it abandoned its 2016 forecast for making positive free cash flow due to its plans to increase capital spending by 50% more than previously expected. In the Tesla Q1 earnings report earlier this month, Musk said that the company would aggressively ramp up its production and delivery schedule. It aims to have 500,000 vehicles roll off assembly lines in 2018. That's two years ahead of its original 2020 target. Goldman Sachs Group Inc. (NYSE: GS) is bullish on the TSLA stock price. It's also one of the banks leading the $2 billion stock sale. In a note to clients, Goldman estimated Tesla would only need to raise $1 billion to fund accelerated Model 3 production. Although it acknowledges the sale is ambitious, the bank said it's certainly possible. Yesterday, Goldman's auto analyst Patrick Archambault upgraded TSLA stock to "Buy" and gave the stock price a six-month target of $250. That's an 18.4% gain from its last closing price of $211.17. Tesla's Gigafactory is a giant battery factory located in Sparks, Nevada. It's expected to be completed sometime in the next year and will be the world's second-largest building by usable space. The plant will produce the lithium-ion cells Tesla needs to create battery packs for its cars, including the broadly popular Model 3. With more than 400,000 reservations, Tesla's Model 3 is in extremely high demand. Its $35,000 price tag makes it the company's most affordable car to date. The vehicle seats five and can travel 215 miles on a single charge. Model 3 deliveries are expected to begin in late 2017.